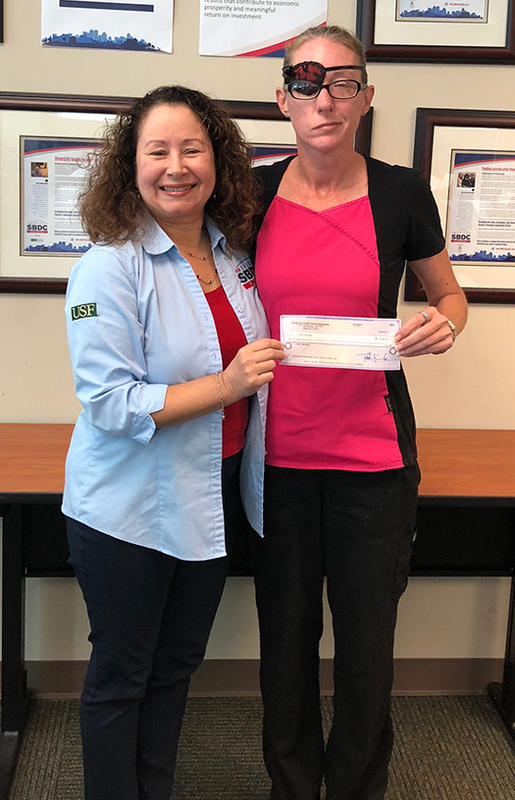 Cristen Mendoza (right), President of A Family Dentistry P.A., worked with the Florida SBDC at USF to secure an emergency bridge loan for the business following Hurricane Irma. Located in New Port Richey, Dr. Cristen Mendoza wasn’t sure how she was going to keep the doors open at A Family Dentist, P.A., after Hurricane Irma hit. A general dentist practice, the loss of income and revenue from a week without electricity created a deficit Mendoza could not overcome on her own. My business incurred damages financially from the hurricane. We lost five days of production which equals about $9,000 in income and revenues. Without that money we were left short when we came back for paying our bills and all of our normal operating expenses. So without this loan my business wouldn’t even be able to operate right now without the extra working capital needed. This Bridge Loan is going to cover the gap that was created by Hurricane Irma. Again, it was $9,000 in income and revenue that we lost and because of the 180 days of no interest, we are going to be able to recoup those funds and not pay any kind of penalty. Basically, this has saved my business and I really appreciate the Florida SBDC because I never thought that I would qualify for any kind of help. I’m not in the best financial situation because I’ve had some medical issues and it really is nice to know that people are still willing to help, especially in these hard, hard times. 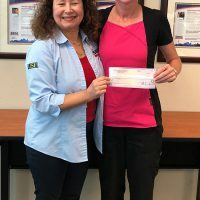 "Basically, this has saved my business and I really appreciate the Florida SBDC because I never thought that I would qualify for any kind of help. I’m not in the best financial situation because I’ve had some medical issues and it really is nice to know that people are still willing to help, especially in these hard, hard times. " - Christen Mendoza, president - A Family Dentist, P.A.